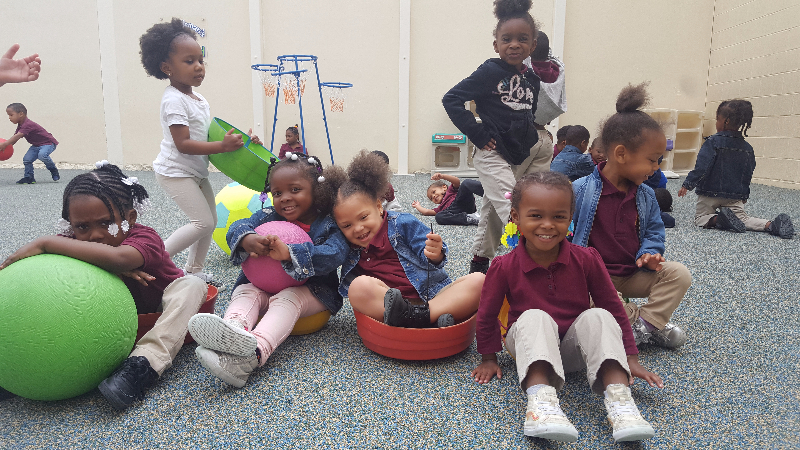 Mercy Neighborhood Ministries of Philadelphia, Inc. is licensed for 149 students and offers childcare, Head Start, Pre-K, and after school programming for students K-8. The results of our diligent students are a testament to our dedicated staff. 38% of students improved their behavior grades. Mercy Neighborhood Ministries is only one of three programs in the Tioga area which services school age youth with before and after school experiences. One of the noblest goals of Mercy is to help students realize that they can become anything and that life is bigger than the streets of Tioga. Each afternoon, program staff and administration take on the challenge of bringing exposure and experience to their youth daily. To bring additional learning experiences directly into the hands of the children at their developmental levels, all of the classrooms also explore learning through hands one discovery, real life lessons and activity planning, and open interest centers which allow children and youth to have choice and freedom of expression. Hands on learning opportunities bring engagement to the forefront of the program day. not only experience the rigor of fine motor skill building, site word development, name recognition, and reading comprehension, but they also connect their learning to experiences that become 3 Dimensional. At the end of their Pre-K year at Mercy, staff and children beam as they transition to kindergarten with skills of writing their names, reading books aloud, and knowing 100 site words. CCIS will pay part of your child care costs – this is called a subsidy. You will also pay a part of the cost – called the family co-pay. Your co-pay amount will depend on your income and the size of your family. CCIS can be used to pay for child care at any licensed child care program that participates in the program. It does not cost you more to choose a high quality child care or pre-K program for your child. If funding is unavailable at the time you apply, your child may be placed on a wait list until additional funding becomes available. Wait list times vary, but are usually at least several months long. Set your child up to succeed by calling 844-PHL-preK for help applying. Click here for more details. Head Start is a program of the United States Department of Health and Human Services that provides comprehensiveearly childhood education, health, nutrition, and parent involvement services to low-income children and their families. If your child is enrolled in a Pre-K Counts program, the hours that they attend that program are free for you and your family. Mercy continues to make targeted decisions about how to enhance direct services to our youth: academically, socially, and physically. Academic enrichment and growth is a key component of Mercy’s program services. We believe that early success in a child’s learning provides confidence and skills needed for future success. The goal of Mercy Neighborhood Ministry is to create a positive and enthusiastic attitude toward learning by offering computer programs, educational field trips, and arts and craft activities that support the present school curriculum. Young children often enter the doors of Mercy with deficits in academic skills. Our educators reach into their deep bag of tricks to find creative ways to continue to excite children about learning. Our programs inspire students to perform beyond their expectations and prepare for future success. If you would like any information about our programs, please contact Barbara Coleman, Program Director at 215.227.4393 or using this form.